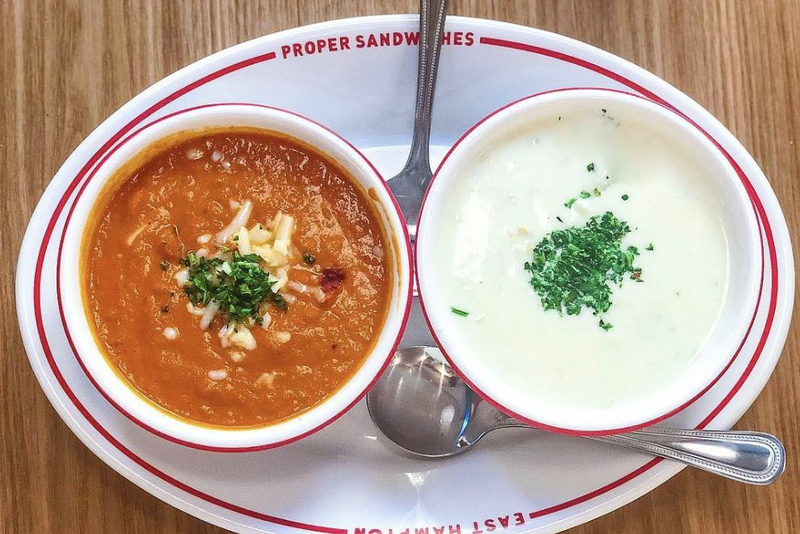 The Timbergrove/Lazybrook eatery is doubling down on salads and sandwiches. Chicken, but of the sea variety. As Houston’s population ballooned during the early 20th century, and wanderers of all income levels found homes in the Heights, Rice Military, and River Oaks, the Lazybrook/Timbergrove area remained a forested hinterland. It wasn’t until after World War II that the neighborhood took shape, evidenced today by its rows of Eisenhower-era ranch houses. 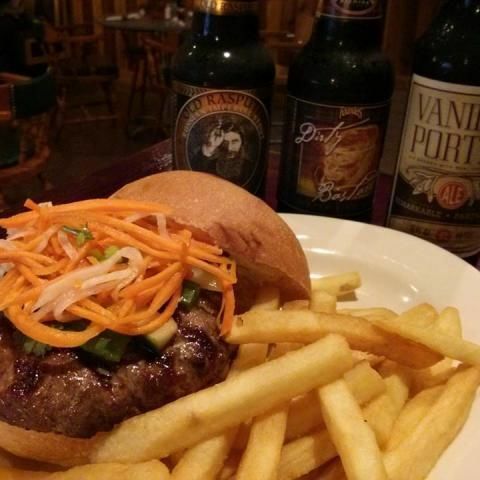 Seventy years later, while communities like the Heights, Montrose, and Downtown are now enjoying the fruits of Houston’s dynamic dining scene, it’s once again taken Lazybrook/Timbergrove some time to catch up. 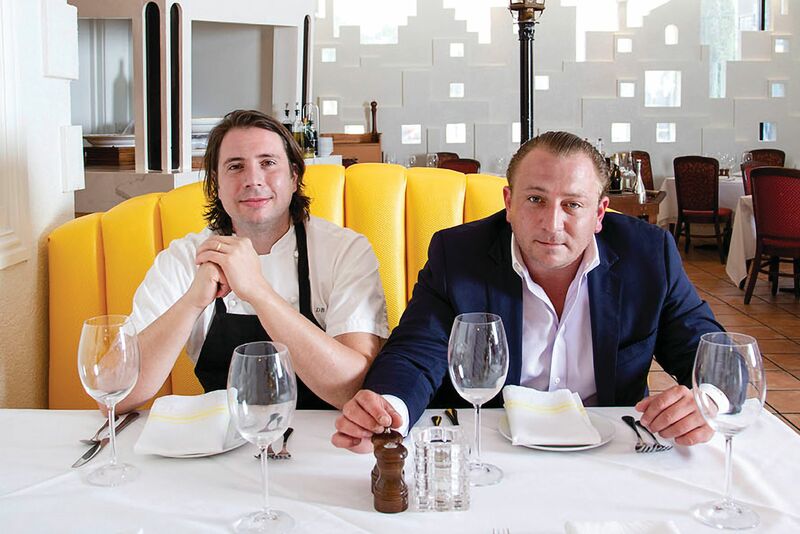 But change seems to be happening, and owner/chef Greg Gordon is betting on it. 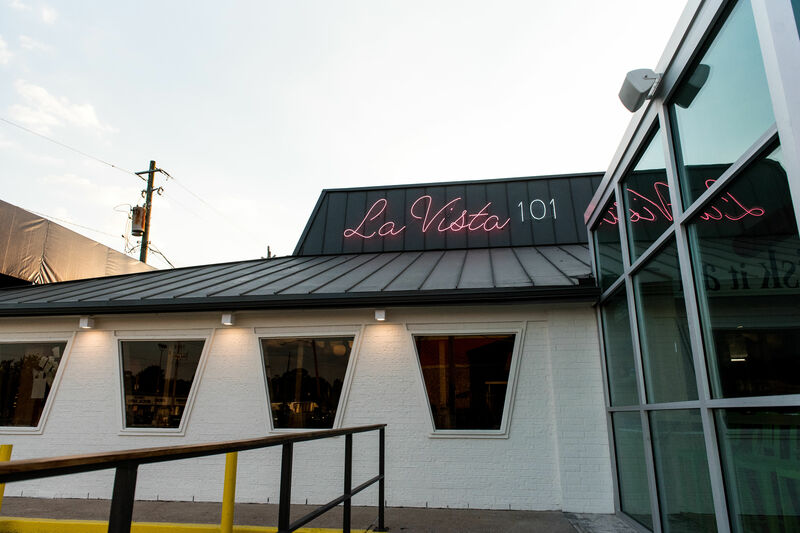 La Vista 101, his newest venture after closing his Briargrove staple La Vista, is chugging along in its second month on West 18th Street, a block from an H-E-B and across the street from Hughie’s Tavern & Grille. Gordon started anew because he felt La Vista was out of touch with the changing dining scene. He wanted a fresh start in a new neighborhood, one that he felt could use a delightful, small-plate eating experience with an Italian influence. “That area was not only in need but it was capable of supporting the kind of restaurant I wanted to put in,” said Gordon about Lazybrook/Timbergrove. 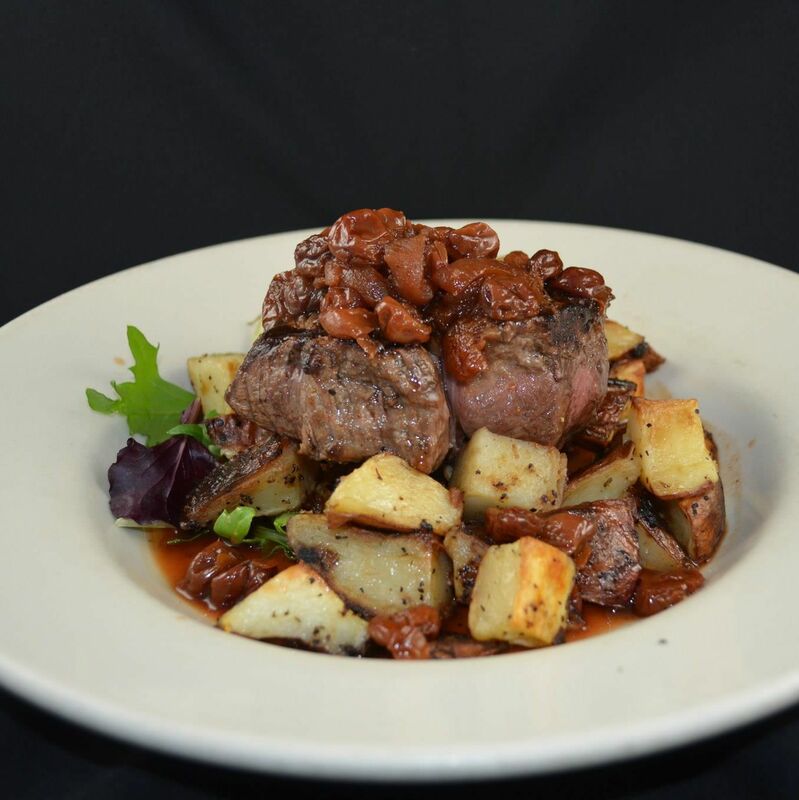 Those who’ve been to La Vista 101 have probably enjoyed dinner, helmed by executive chef J.D. 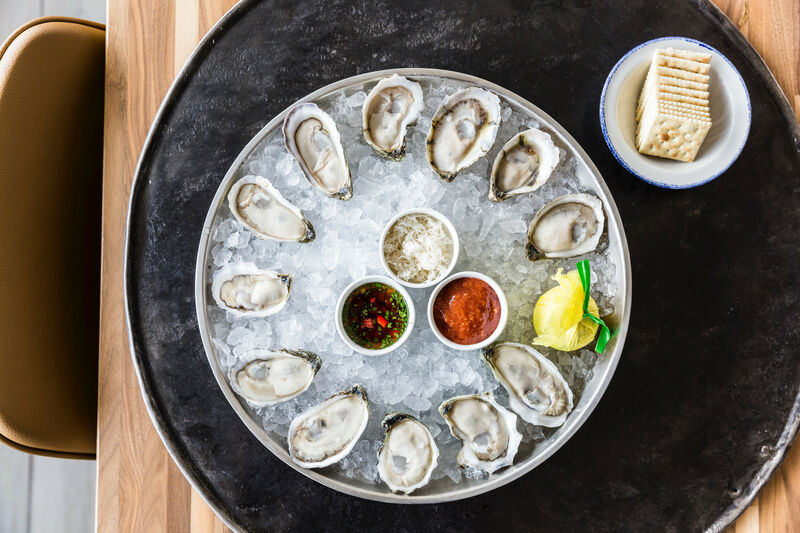 Woodward, which emphasizes shareables like beef carpaccio, goat cheese burrata, and fried cauliflower, an eclectic selection of pizzas and pastas, and a few showstoppers (a beer-can half-roasted chicken, ever-changing fish plates). It’s been well-received so far. Technically you can, but you’d need one of George Costanza’s desk beds to get through the afternoon. 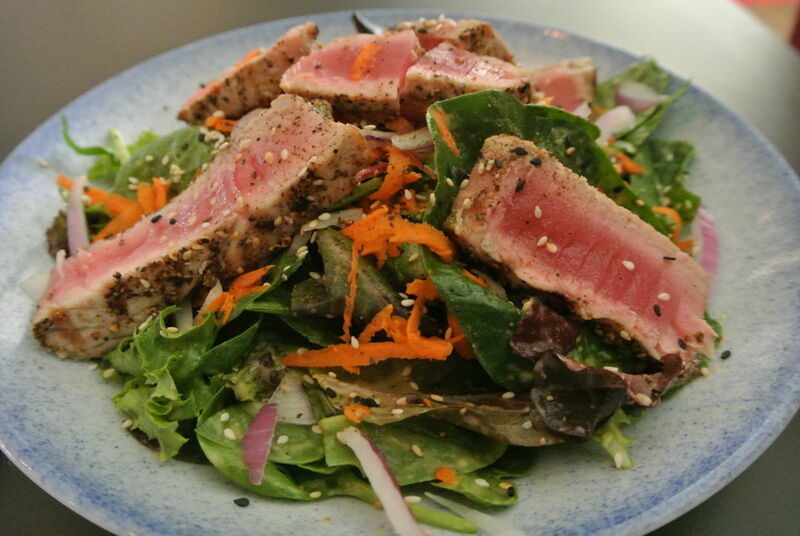 Instead, try the tuna salad, which when I visited lay on a bed of spinach, red lettuce, and arugula along with sesame seeds, and carrots that added color but nothing else. That wasn’t a problem, though, because the fresh tuna, seared and peppered perfectly, stood out in this dish, along with a mango dressing that left small bits of fruit on the plate. 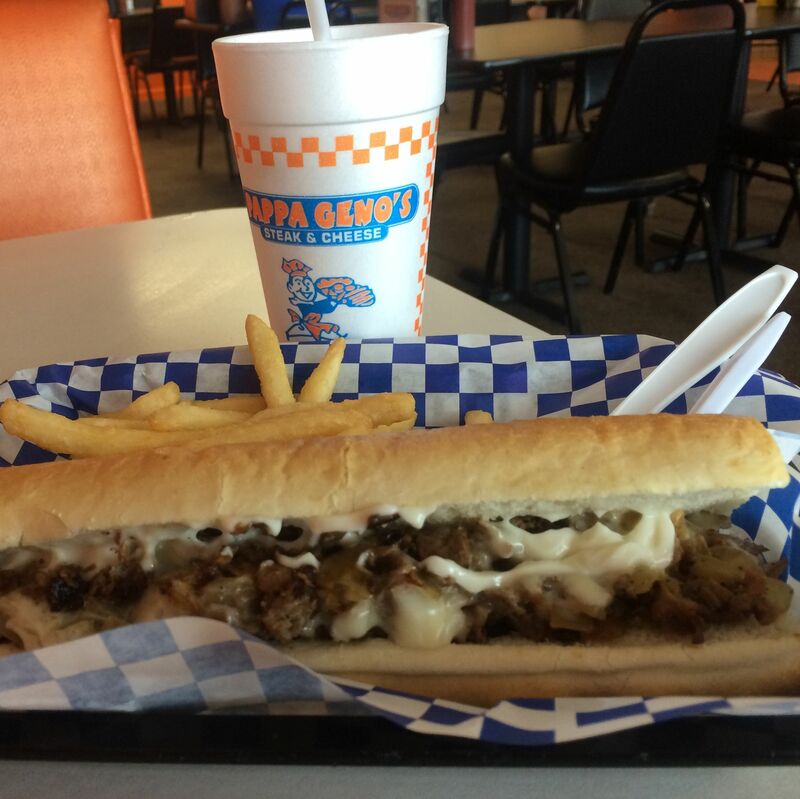 The "Lavistadelphia" Cheese Steak, served with shoestring sweet potato fries. I could’ve stopped there and been happily fed for the afternoon, but Gordon decided to toy with my emotions by including on the menu the “Lavistadelphia” Cheese Steak. Here is my disclaimer: I was born and raised in Philadelphia (not West Philadelphia, however) and ate at least 20 cheesesteaks per year until age 17. Whenever I confront a cheesesteak outside Philly, I typically stay away because—as they say in the City of Brotherly Love: “You frickin idiots don’t know how-ta-do a real cheesesteak!” However, when a respected restaurateur, whose menu emphasizes straightforward lunch items, throws in a cheesesteak and even adds a predictable name to it, I can’t say no. The Lavistadelphia, like the other lunch sandwiches, comes with either pasta salad, sweet potato fries, or regular fries. I opted for the sweet potato fries, which come shoestring style inside a metal tin lined by gingham picnic paper. I’m not a fan of shoestring because it’s messier to eat, but the flavor was apparent. As for the cheesesteak, it consists of pieces of tenderloin, gooey mozzarella, tangy bell peppers, and some good-and-oily mushrooms and onions inside slices of homemade focaccia. 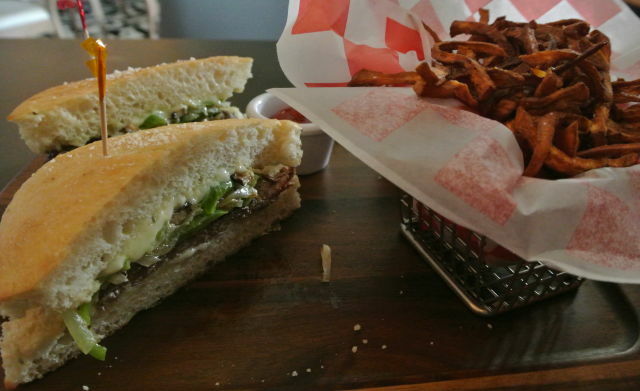 Considering it’s under the menu header of “House Made Focaccia Style Sandwiches,” it shouldn’t be alarming to anyone that the Lavistadelphia isn’t a true-to-form Philly cheesesteak. “That’s completely tongue-in-cheek,” laughs Gordon, adding that he enjoys Pappa Geno’s cheesesteaks (which are more in line with tradition) two doors down, but he can’t eat one every day. His sandwich, which hits all the right notes, can certainly be eaten with more regularity. If Gordon wants to take one piece of advice from a Philadelphia native, I’d add a ketchup-flavored dipping sauce, maybe an aioli (a small ketchup comes with the fries). For one, I grew up squirting Heinz on my sandwich, but also at La Vista 101 I was longing to dip my airy, buttery focaccia into a sauce. Either way, he’s still tweaking and changing the items as lunch evolves. He says he can draw diners with solid salads and sandwiches, but it’ll take some flexibility to keep up with a Timbergrove/Lazybrook that looks different than just a few years ago. He’s right, and we’re certainly watching to see what’s next. $$ American/New American, Italian 1936 Fountain View Dr.